This project launched in March 2013 and ran for a 12 month period, with the final outcome being a detailed assessment of the potential for solar thermal steam reforming to be integrated into a combined cycle power station. The project is led by CSIRO, with project partners GE Global research (GE GRC) and GE Australia (GE AUS). The Lawrence Berkeley National Laboratory (LBL) has developed near-zero-emission gas turbines using pure hydrogen as a fuel. 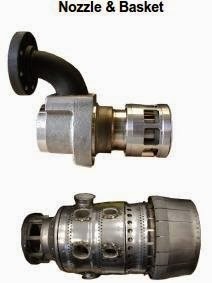 But because this LSI (low-swirl injector) technology also can use other fuels, it has the potential to help eliminate millions of tons of carbon dioxide and thousands of tons of nitrous oxides (NOx) from power plants each year. In fact, burners with the LSI emit 2 parts per million of NOx, more than five times less than conventional burners. The multi-patented technology is currently available for licensing. A more significant benefit of the LSI technology is its ability to burn a variety of different fuels from natural gas to hydrogen and the relative ease to incorporate it into current gas turbine design — extensive redesign of the turbine is not needed. The LSI is being designed as a drop-in component for gas-burning turbine power plants. 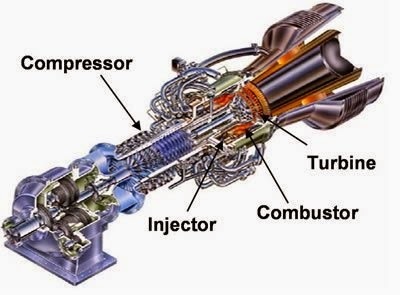 This technology is available for license for gas turbines and certain other fields of use. For information, go to http://www.lbl.gov/Tech-Transfer/techs/lbnl0916.html. A cutaway view of Solar Turbines' Taurus 70 engine. The research team has adapted the low swirl injector for use in this technology, which is similar to a jet engine, but is used to generate electricity in power plants on the ground. Berkeley Lab is a U.S. Department of Energy national laboratory located in Berkeley, CA. It conducts unclassified scientific research and is managed by the University of California. Visit our website at http://www.lbl.gov. Diffusion flame nozzle based on the design that successfully operated at the SGT6-3000E (formerly known as the W501D5) Dow Chemical Plaquemine site. Dual fuel design: Natural gas as startup & backup fuel, H2 / Syngas as main fuel. Dilution is premixed into the fuel. Combustor basket is an improved Siemens diffusion flame basket design. The transition segment and downstream turbine hardware is the standard design, no change is necessary for IGCC.